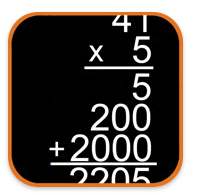 Have you splashed into Math for Grade 3 yet on your iPad device? If not, then you will want to take the leap today by jumping into their mathematical aquarium. StudyPad released Splash Math Grade 3 at the beginning of the school year. It is a wonderful addition to the Educational App Store. It is quite obvious that curriculum standards were at the forefront of creating this educational app. The models and usage of mathematical vocabulary are very well done. When visiting StudyPad’s website, a particular quote struck me, “Your time is important, and so is the time you spend with the child. You will no longer be spending time correcting and evaluating hundred of sheets. Instead you will focus on real teaching. Splash Math is designed to provide deep insight into the student’s performance.” This is an app that will support teachers, guide parents and their struggling third grader(s) in a non-threatening environment. Of the educational apps that I have reviewed, it is a more expensive application, however, the capabilities and skills that your child(ren) will master will be well worth your money!! Upon entering this application, I was immediately struck by the life like graphics coming alive as origami characters. In addition, I was stunned at the number of mathematical skills that will be reinforced within three levels of play: Easy, Medium and Hard. Splash Math Grade 3 truly encompasses an entire years worth of content in one download. Chapters range from place value, to the four operations, time, measurement, geometry, data/probability, fractions/decimals and money. When playing, a total of 5 users can be established on one device. Initially, the only level of play open is easy. As a user plays and succeeds, additional levels are then unlocked. Having so many mathematical options, StudyPad has provided the teacher or parent the ability to set up the type of play mode that will occur with each experience. Skills can be set to on or off depending on each users ability level. A note to the developers – might it be possible to lock the skills page, allowing only a parent or teacher the ability to access via a password protection. It is also important to note that along the way, the number of questions to be answered can also change. The number of questions range from 10 to 100. Now that is a lot of math! 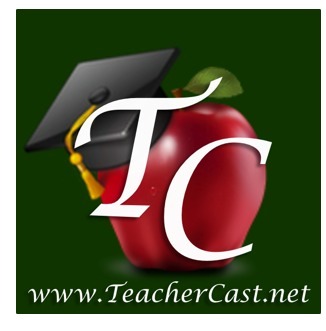 It is an application that can be used throughout the school year. As mentioned earlier, StudyPad chose to design Splash Math with the intent of saving time for a parent or teacher. This is done with the help of progress reports designed as a report card or activity log. To support the classroom teacher or a parent, those report cards can be emailed directly to them as a way to see the progress or lack of progress that their child(ren) are making as it relates to the third grade curriculum. Having such a report is very important as it informs further instruction. Through our exploration, we did notice that there are very clear differences between the “Play” and “Practice” mode. Play mode will encompass all those skills that were set to on. As they swim along, they will notice that questions/topics are chosen at random. The layout of the play mode screen is very clear. However, I wonder if it might be possible to include a reading option of questions that users might be unclear of. With very clear visual models and 4 bubble choices, users will be rewarded with up to 2 points which can be “cashed” in for prizes to add to your own aquarium. At the top of the screen is a bar graph indicating how many questions have been answered and what level a user is currently working in. A note to the developer – might it be possible to remove from the “play” mode, the curriculum topic/percentage indicator at the top. If I understand it correctly, this same information is stored in the “practice” menu screen. If however, they are two separate indicators, then it would be important to keep. When incorporating the “practice” mode, here users can pick one particular area of need. When that topic is chosen it is then narrowed down even further. For example, Applicable2U happened to choose Addition. That topic is then broken into 6 choices: properties of addition, two digit addition, three digit addition, four digit addition, estimate sums and a mixed review. WOW!!! By offering this option it allows the user(s) to choose the area that has the least percentage correct, thus indicating further reinforcement or teaching. Overall, Applicable2U was very impressed by Splash Math for Grade 3. In our opinion, we feel that the cost of this educational app should not stop you from downloading it to your iTunes library. You will be amazed at how your child will progress in math as they will be encouraged to try more challenging mathematical subjects in a fun way. By the end of the school year, what will your aquarium look like? If you would like to learn more about StudyPad, Inc. and their other grade level specific apps, please visit their website here. Is your elementary student feeling a little crabby about math? Do you happen to be in 3rd grade? Then begin downloading Splash Math Grade 3 to your iTunes library here. Imagine your child comes home with this problem 91 X 41. You hear them calling you for guidance and they explain to you that they need to use the partial product strategy. Partial product reinforces multiplication facts from 0-12, base ten and basic addition. Through the use of color coding and movement, multiplication of large numbers can become less stressful. Here is what a user will experience while using this app: STEP 1 – multiply 1 X 1. STEP 2 – multiply 90 X 1. STEP 3 – multiply 40 X 1. Finally multiply 90 X 40. From there students will use their knowledge of basic addition facts to find the solution. As my fourth grade team members “played” with this app, they didn’t have anything negative to say about it but thought there could be one addition made to make the app a total package. 1) Would it be possible to have levels of difficulty? Level 1 – For those struggling, would it be possible to have the problem and the solution move up together? 2) Level 2 – would appear as it does now. Regardless of whether or not the developer decides to incorporate these suggestions, this app is a THUMBS UP!!! It works right alongside the Everyday Math Program that we are currently working on in our town. If you would like to learn more about the apps that Esa Helttula has to offer please click here or you can visit them in iTunes here.